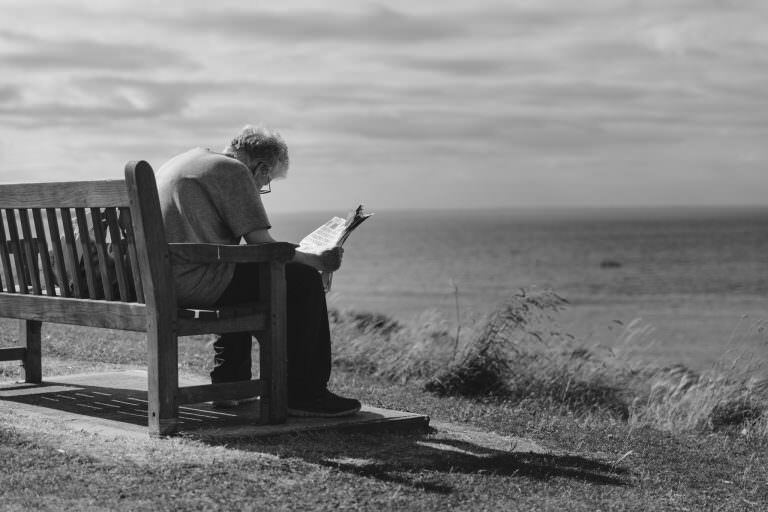 As the eye ages, eyesight diminishes. Usually, this can be completely corrected by eyeglass or contact lenses. Sometimes, however, corrective lenses cannot completely restore a person’s eyesight. In these cases, the patient is a sufferer of low vision. High strength magnifiers may help reading printed material, but these products have remained largely unchanged as technology has advanced. Taking advantage of the technology of today while maintaining easy operation, Eschenbach presents the SmartLux Digital video magnifier. Sporting a large 5” anti-glare and scratch resistant screen, SmartLux magnifies whatever is placed in front of it. Patients may choose 5x, 7x, 9x, or 12x magnification. Five viewing modes allow choice of text and background colours that facilitate reading for their eyes: combinations of yellow, white, black, or simply full colour. Both options are controlled by large, easy-to-press tactile buttons. 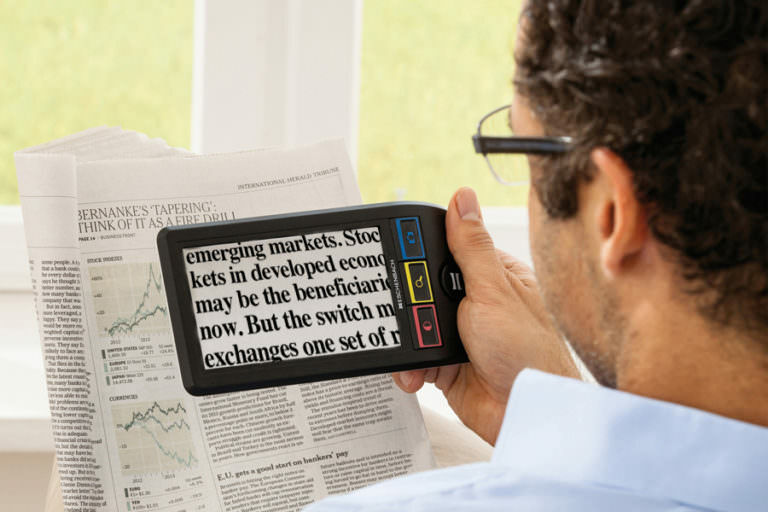 A stand on the back of the SmartLux allows for hands-free reading or writing. 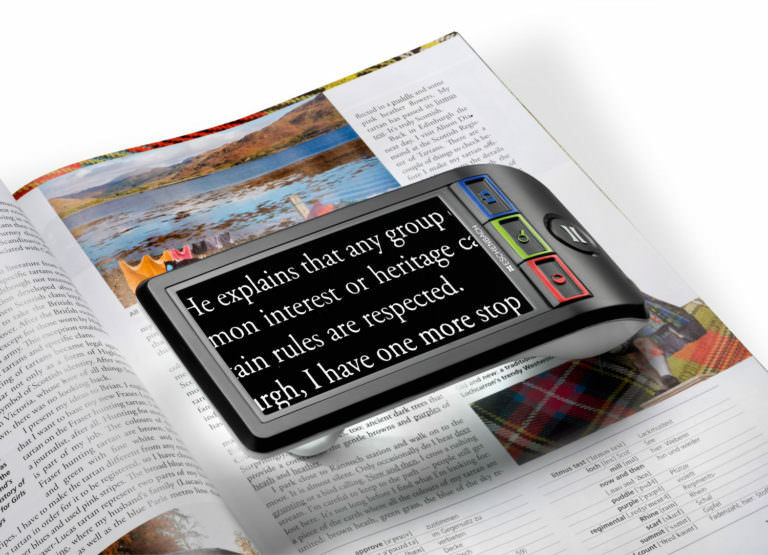 LED lights illuminate what the patient is reading or may be switched off when using the magnifier with digital displays. With lightweight construction, a long-lasting rechargeable battery, and an included lanyard and case, SmartLux is extremely portable. A small but infinitely useful feature is a “freeze” button which allows patients to capture hard-to-read to read text, move away from the magnified object into a more comfortable position, and read the magnified text on the SmartLux. 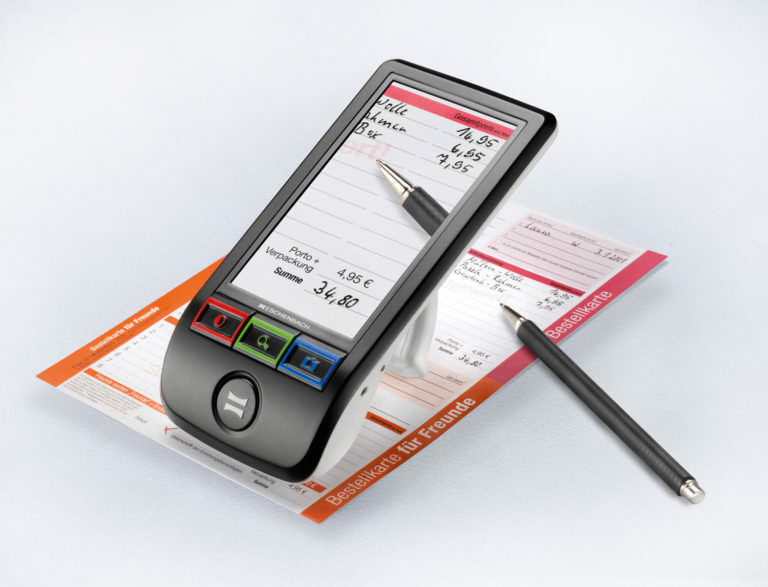 Made in Germany and covered by a two year warranty, SmartLux Digital by Eschenbach is a great option for low vision patients requiring a magnifier that meets the needs of today’s digital world. At home and on the go, SmartLux and makes everyday tasks easier. Available at Klein Optical—drop by or get in touch to find out more.